Margherita, the Italian pizzeria chain specialized in Neapolitan food, will soon be opening its fifth branch in Blueberry Square, Dbayeh. Investment in the Dbayeh branch reached up to $500,000. 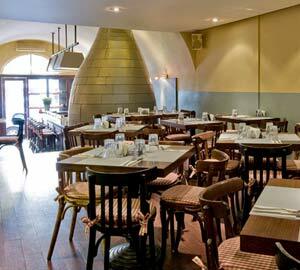 The maximum space of the restaurant is 250 square meters, accommodating up to 100 seats. “We owe our success to the simplicity of the ingredients we use, and the quality we always make sure to offer to our clientele,” said Roberta Casa, marketing and communication developer at Casa Giovanni Management, the company managing the restaurant chain. Margherita had opened its first outlet in 2008 in Gemmayzeh. Since then, it opened three more in Sin El Fil, Jounieh, and ABC - Ashrafieh. “Other openings will be coming soon,” said Casa. The chain has franchises in Kuwait, the UAE, and the KSA where it opened its first outlet in Jeddah in 2011. A second outlet is planned in Riyadh by mid-2013, along with a first branch in each of Kuwait and the UAE. “More outlets are planned in the KSA, along with five additional outlets in Dubai in coming years,” said Casa. The Margherita chain is owned by chef Giovanni Casa, the owner and director of Margherita pizzeria del quartiere dal 1959 brand.